The Bank of Japan will be forced to cut its growth and inflation forecasts this week, but officials are signalling that extra economic stimulus is unlikely for now. Japan’s central bank is set to move its inflation forecast for the 2015 fiscal year down several tenths of a percentage point from the current 1 per cent and shave its growth forecast from the current 2.1 per cent, even as its quantitative easing programme buys Y80tn ($673bn) worth of bonds each year. But despite a disappointing start to the year, with inflation dipping back to zero, governor Haruhiko Kuroda has argued strongly that the BoJ’s existing stimulus programme intended to boost inflation is on track. Bullish talk is no guarantee of inaction with Mr Kuroda — he told Japan’s parliament all was well just three days before a massive expansion of stimulus last October — but his recent arguments would make it hard to justify a move. Mr Kuroda explained last October’s action by saying weak consumption growth risked dragging down public expectations of inflation. Those expectations are crucial to the BoJ stimulus, because they decide the real interest rate investors expect to earn after adjusting for inflation. More recently, Mr Kuroda argued, they have been holding up. “A variety of indicators of inflation expectations have been rising in tandem with the rise in the consumer price index,” he said last week. Daiju Aoki, senior economist at UBS in Tokyo, said: “I think the BoJ will maintain the current monetary policy”, noting that the central bank’s outlook is for improvement in the economy. Markets had begun to speculate about a BoJ move this month after comments from Kozo Yamamoto, an MP in the ruling Liberal Democratic party, who was a political godfather of the current Abenomics stimulus. Mr Yamamoto recently called for an increase in the pace of BoJ asset purchases. But while he is close to some of the “reflationist” economists on the BoJ board, he has no direct influence over the central bank. According to a Bloomberg survey, just three out of thirty-four economists forecast a BoJ move next week, but more than half expect further easing before the end of the year as oil prices continue to drag inflation down. “I’m particularly focused on the July meeting,” said Mr Aoki, noting inflation should trough around then given the effect of falling oil prices. The BoJ will update its forecasts again in July and the results of this year’s wage negotiations also should be clear by then. Other economists think a move is more likely in October. By that stage the BoJ may be forced to cut its inflation forecast for the 2016 fiscal year to below 2 per cent. That would very likely require a policy reaction by Mr Kuroda to maintain the credibility of the BoJ’s policy. If there is additional stimulus at some point, the options attracting most debate within the BoJ centre around expansion of their existing programme, rather than radical new departures. BoJ officials think there is still scope to buy assets faster than the current monthly total. They could also extend the maturity of their purchases to longer-dated bonds, in a manner similar to the US Federal Reserve’s Operation Twist in 2011. Another option would be to change the make-up of purchases, buying more equities or perhaps extending purchases to local government debt. RIGA, Latvia — Eurozone officials sharply criticized the Greek government on Friday for moving too slowly on steps to overhaul the country’s economy that they say would be necessary to get debt relief and to avoid a default. The comments, expressed as finance ministers assembled here in the Latvian capital, were some of the strongest signs yet of rising concerns about the economic situation in Greece and the commitment of the country’s finance minister, Yanis Varoufakis, to address it. Mario Draghi, the president of the European Central Bank, which is one of Greece’s biggest creditors, warned that “time is running out” for resolving the Greek standoff. A potential default by Greece is the biggest near-term risk to the European economy, which has begun a tentative recovery after a prolonged sovereign debt crisis that nearly sank the euro at the beginning of the decade. Yet the meeting on Friday yielded no concrete plans to accelerate the talks, and Mr. Varoufakis gave no sign of yielding to pressure. “We are striving to come to an agreement with the institutions regarding promises and a plan that we can take to the Greek people, and that we can ask the Greek people to fall fully behind,” Mr. Varoufakis told a news conference after the meeting. The frustration with Greece is boiling over more than two months after the international lenders gave Athens until late June to present plans for reforms that would both ease austerity and overhaul its economy. The lack of agreement on those plans means European lenders will not release the next allocation of bailout money — a 7.2-billion-euro, or $7.5 billion, payment — to keep the Greek government running and avoid a potential default. Mr. Dijsselbloem said it was up to Mr. Varoufakis and his government to present more ambitious proposals, noting that the next scheduled gathering of the Eurogroup would be on May 11, a day before Greece must pay €750 million to the International Monetary Fund as part of its loan agreements. There was “a great sense of urgency around the room,” acknowledged Mr. Dijsselbloem. As negotiations have continued between Greece and representatives of its creditors in recent weeks — meetings separate from the periodic gatherings of the finance ministers — the two sides are said to remain divided on significant issues. Greece has insisted that it cannot cut pensions any further or accept creditors’ demands for a budget that would require a relatively high primary surplus — a surplus when debt repayments are not taken into account. Greek officials have insisted that these issues are “red lines” that cannot be crossed, and Mr. Varoufakis underscored them in his comments to reporters in Riga. Some of the antagonism between the Eurogroup and Greece stems from continuing disagreement over whether lenders can conduct fact-finding at Greek ministries in Athens, to verify the true state of the country’s finances, for example, rather than meeting in hotels with Greek officials. A Finance Ministry official in Athens on Friday, speaking only on the condition of anonymity because of the political tensions surrounding the discussions, said that the Greek government was “not bluffing” in opposing tough measures and was intent on protecting the country’s interests. Mr. Varoufakis, speaking separately to Greek reporters in Riga on Friday said that the country had submitted a new, revised list of reforms at a discussion between deputy finance ministers this week — but that the document had not been presented to the Eurogroup for procedural reasons that he derided as unnecessarily complicated. He accused eurozone officials of “undermining tactics” and “negativism” and said the climate in Friday’s meeting had been tense, although he denied reports by some news media that officials had verbally attacked him. “There can’t be an agreement if people don’t have an adequate process to assess, quantify policy measures,” Mr. Draghi said. As the crisis drags on, one big concern is the ability of Greek banks to stay afloat. Mr. Draghi said that the European Central Bank’s emergency financing for Greek banks should continue as long as they were “solvent and have adequate collateral.” But he also warned that “a change in the environment” could force the central bank to make that financing more expensive for the Greek banks. Grèce: à quel calendrier se fier? 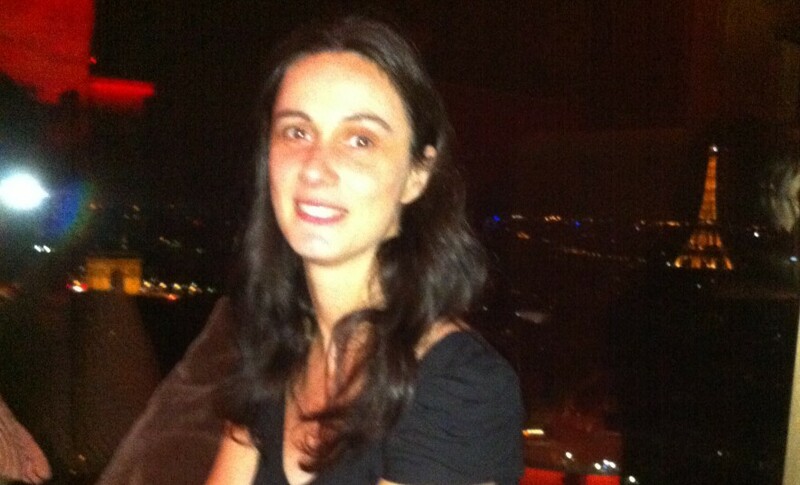 Encore une rencontre pour rien? Alors que la journée s’annonçait plutôt ensoleillée sur Riga, la réunion mensuelle des ministres des Finances, qui se tient aujourd’hui dans la capitale lettone pour discuter du dossier grec, se déroulait dans un climat pesant. Dès son arrivée, le vice-président de la Commission en charge de l’Euro, Valdis Dombrovskis, a plombé l’ambiance: « Les progrès dans les négociations techniques ne sont pas suffisants pour parvenir à un accord durant cet Eurogroupe. » Autrement dit, les chances que la Grèce et ses créanciers s’entendent sur de nouvelles mesures économiques que doit présenter Athènes pour obtenir une aide financière complémentaire de 7,2 milliards d’euros étaient… epsilonesques. Ce qui fera monter d’un cran la pression avant la prochaine réunion de l’Eurogroupe prévue le 11 mai… où les possibilités de parvenir à un deal restent des plus minces. En réalité, la vraie date butoir des négociations coïncide avec la fin du 2ème plan d’aide à la Grèce: le 30 juin.D’ici là, les parties devraient camper sur leurs positions. Avec, d’un côté, la stratégie « très périlleuse de l’étranglement et des ultimatums adressés pas ses créanciers à la Grèce », dénoncée par le Nobel d’économie Joseph Stiglitz. De l’autre, la tactique de la dramatisation adoptée par le gouvernement grec qui laisse croire que le pays serait au bord du défaut de paiement. « En fait Athènes devrait avoir de quoi tenir financièrement jusqu’au 30 juin », estime Thomas Grejbine, économiste au Cepii. A partir de cette date clé, plusieurs issues sont envisageables. Première possibilité: après des discussions très dures, les parties parviennent à un accord et Athènes reçoit ses 7,2 milliards d’euros. « Un calendrier de négociations serait alors envisagé pour un 3ème plan d’aide ou un schéma de restructuration de la dette hellénique », envisage Thibaut Mercier. Deuxième issue: les discussions achoppent toujours sur les points clés. Autrement dit, le gouvernement grec maintient son projet de relever le salaire minimum en 2 fois cette année, s’arc-boute sur son projet de privatisations ultra restrictif et exclut toute augmentation de TVA ou nouvelle baisse des pensions. Du coup, Athènes ne reçoit pas ses 7,2 milliards. La Grèce se retrouve alors dans l’incapacité de régler les 3,2 milliards d’euros qu’elle doit rembourser à la Banque centrale Européenne (BCE) dès le 20 juillet. Le pays fait défaut sur sa dette et le risque de sa sortie de l’euro –le Grexit– devient inéluctable avec un scénario de panique sur les marchés financiers et un effet de domino prévisible sur les pays les plus fragiles de la zone comme l’Italie et le Portugal. … OK « à l’irlandaise »? « Mais comme les 2 parties voudront éviter de prendre ce risque, parie Thomas Grejbine, une autre option pourrait alors être envisagée. » A savoir un vrai-faux défaut « à l’irlandaise ». Le 3 février 2013, le gouvernement irlandais avait en effet réussi à effacer une ardoise de 30 milliards d’euros vis-à-vis de la BCE après –il est vrai– un hold-up comptable et législatif mené en une nuit. Les dirigeants irlandais avaient ensuite mis Mario Draghi devant le fait accompli en lui proposant de substituer une nouvelle dette à des conditions plus avantageuses. Bien qu’en totale violation des traités européens ce deal fut accepté par la BCE. L’Irlande avait ainsi pu restructurer une dette vis-à-vis de la banque centrale, échappant au défaut de paiement formel. Afin d’éviter un parallèle de la situation grecque avec le deal irlandais, les dirigeants de la BCE ont argué que, à l’époque, les mécanismes européens d’aides aux pays en difficulté n’existaient pas. Bien sûr, le schéma irlandais, encore hypothétique, semblerait préférable à celui du Grexit, qui selon les mots de Mario Draghi relève de l’aventure dans des « eaux inconnues ». Like an annual migration, hundreds of leggy tweens and teens arrive in New York this time of year for the Youth America Grand Prix, the ballet competition that awards $300,000 in scholarships. This year drew more than 1,200 bunheads, some of whom stay through the week to see the final benefit gala, danced by professional stars, on Friday night. Though ballet galas tend to follow a standard formula—a string of flashy excerpts from crowd-pleasing ballets, almost invariably including “Don Quixote”—this Friday evening’s event at the David H. Koch Theater will be different. Four of the five works have never been danced in the U.S., and one is a world premiere. “I just can’t sit through another ‘Don Q’ pas de deux,” said the gala’s curator David Hallberg, principal dancer at American Ballet Theatre and the Bolshoi Ballet. Mr. Hallberg was invited to set the program by the competition’s co-founder Larissa Saveliev, who believed the dancer’s creative tastes would bring a new perspective. “We try to educate the next generation, showing them something that is important,” she said. With the program, Mr. Hallberg chose to honor companies that have supported his journey from a tap-dancing South Dakota boy to global ballet star. 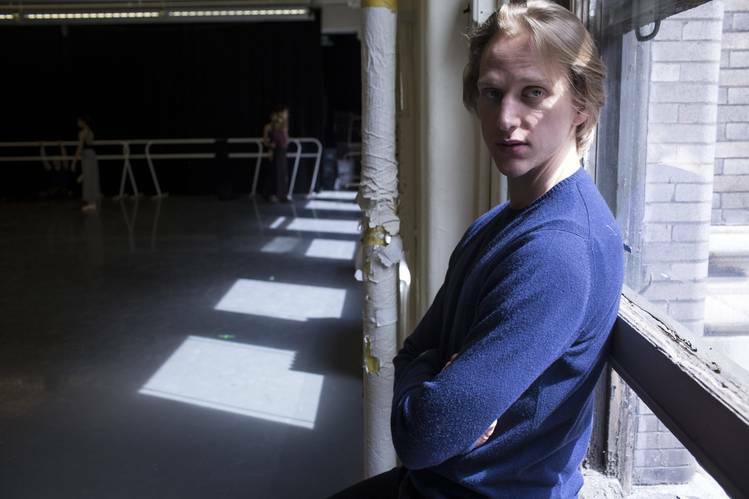 For American Ballet Theatre Studio Company, the training ground where Mr. Hallberg had his start, he commissioned (with donated funds) a new work that will have its world premiere on Friday. Its creator is Pontus Lidberg, a Swedish choreographer venturing into new territory with dance films, most recently with former New York City Ballet principal Wendy Whelan and composer David Lang. The Australian Ballet, Mariinsky Ballet and Tokyo Ballet have all invited Mr. Hallberg as a guest artist, and for them, he has selected works that represent their artistic missions. The Australian Ballet will dance “Unspoken Dialogues” by Stephen Baynes, the company’s resident choreographer. The Tokyo Ballet is bringing “Bhakti III” by Maurice Béjart, a master choreographer whose work isn’t often presented here. “They’ve kept up the lineage of Béjart,” said Mr. Hallberg. The Bolshoi Ballet, which Mr. Hallberg joined in 2011, will dance an excerpt from “Marco Spada,” a full-length narrative ballet originally created for Rudolf Nureyev and recently reconstructed by choreographer Pierre Lacotte. By selecting works that haven’t been seen here, Mr. Hallberg is delivering a twofold contribution: He gives dancers the opportunities to star in premieres—and he expands what is onstage for New York dance fans to see. “There is a major deficiency in choreographers presented in New York,” he said. Bonjour, merci à noblejoué pour son commentaire et sa réflexion sur billet précédent texte de Jacques Attali. Je vais donc préparer du coup ce soir un texte sur le transhumanisme bien que pour l’instant je ne comprends pas vraiment le concept, en effet de nombreux articles sont assez critiques sur ce sujet, je vais tâcher toutefois d’écrire un texte pour introduire ce concept et tenter de le comprendre. Merci.Je le posterai dans ce billet. Bonne journée Nathalie. LONDRES – » le roi Charles III , « une pièce set-in-the-future dans le verset par Mike Bartlett à propos de l’adhésion du prince Charles au trône britannique, a remporté le prix de la meilleure nouvelle pièce lors de la cérémonie des Prix Olivier, grands Prix de théâtre de Londres , dimanche. Les producteurs du jeu annoncera les détails sur Broadway la course de la production, prévue pour l’automne, le lundi, à New York le publiciste de l’émission, Rick Miramontez, a déclaré dans un courriel. Une production de ravissement reçu d’Arthur Miller » Vu du pont « par le réalisateur Ivo Van Hove était autre grand gagnant de la soirée. Il a remporté des prix pour la meilleure renaissance, meilleur réalisateur et meilleur acteur pour son interprète principal, Mark Strong. Le spectacle a battu productions y compris la relance de David Hare » Skylight « qui est actuellement à l’affiche sur Broadway, mettant en vedette Carey Mulligan et Bill Nighy. Les adaptations des romans de Hilary Mantel « Loup de Hall» et «faire apparaître le corps », qui de la Royal Shakespeare Companyouvert la semaine dernière sur Broadway , ont remporté des prix pour leurs costumes et de la performance appui de Nathaniel Parker comme Henry VIII. » Sunny Afternoon », une pièce de théâtre sur le groupe de rock britannique, les Kinks, a remporté le prix de la meilleure nouvelle comédie musicale. Ancien compositeur et chanteur du groupe Ray Davies a remporté un prix pour sa musique. Le Donmar Warehouseproduction s ‘de « Cité des Anges », dirigé par le directeur artistique de la compagnie, Josie Rourke, a remporté le prix du meilleur renouveau musical. Angela Lansbury, 89, ramassa son premier Olivier Award pour son rôle de soutien dans une production de Noël Coward « Blithe Spirit. » Dans son discours, elle dit: «Je ne me souviens pas beaucoup de choses ces jours-ci, sauf que je peux me souvenir de mes lignes ». Kevin Spacey a reçu un prix spécial pour son travail en tant que directeur artistique du Old Vic, d’où il quittera ses fonctions de directeur artistique à l’automne. BERLIN (Reuters) – La fédération de l’industrie allemande (BDI) est plus optimiste qu’il y a trois mois sur les perspectives de croissance de l’Allemagne cette année en raison de la faiblesse des cours du pétrole, de la vigueur de la consommation et de la baisse de l’euro. « Pour cette année, nous nous attendons à une croissance du produit intérieur brut (PIB) d’environ 2% », a dit le président de la BDI, Ulrich Grillo, cité dimanche par le quotidien Handelsblatt. La BDI prévoyait en janvier une croissance de 1,5% cette année pour la première économie d’Europe. Tout en exprimant ses inquiétudes quant aux perspectives économiques en Russie et au Brésil, Ulrich Grillo évoque l’Inde, les Etats-Unis, l’Espagne et la Grande-Bretagne comme des marchés susceptibles de soutenir l’activité en Allemagne, dont l’économie s’appuie traditionnellement sur les exportations. « L’Europe profite du soutien fourni par les taux d’intérêt bas mais à long terme, des réformes structurelles sont nécessaires », a-t-il dit. Citant eux aussi la faiblesse du pétrole et de l’euro, les conseillers économiques du gouvernement allemand ont relevé le mois dernier leur prévision de croissance pour 2015, de 1,0% à 1,8%. L’Allemagne a connu en 2014 une croissance de 1,6%. El lugar importa. La crisis no afectó a todos los territorios por igual. No fue un fenómeno homogéneo, que se pueda liquidar con medias aritméticas. Hubo 3,5 millones de trabajadores que fueron expulsados al paro entre 2007 y 2013, pero en unas localidades el terremoto social tuvo una magnitud muy superior a otras: Castellón registró seis veces más paro que A Coruña, y Priego (Córdoba) sufrió 10 veces menos desempleo que Torre Pacheco (Murcia). Varios expertos del Consejo Superior de Investigaciones Científicas (CSIC)han trasladado la crisis económica a un mapa de España (Atlas de la crisis) y han identificado dónde ha residido la España más vulnerable (perdedora en su terminología) y cuál ha sido la España resistente. El estudio, dirigido por el demógrafo Ricardo Méndez, director del Instituto de Economía, Geografía y Demografía, dependiente del CSIC, ha tratado de poner cada capítulo de la crisis en su sitio. A través de 15 indicadores provinciales y 8 indicadores locales recogidos entre los años 2006 y 2013, los expertos han podido determinar con cierto detalle (poblaciones superiores a los 20.000 habitantes) la geografía de la crisis económica. “Nos animó a seguir el estudio comprobar que el impacto no era el mismo entre ciudades de una misma región y del mismo tamaño”, explica Méndez. El estudio abría una nueva perspectiva: las desigualdades territoriales. ¿Dónde se sitúa la España perdedora? Si se dibuja una línea imaginaria entre Irún y Huelva, el Este de la península es perdedor y el Oeste, incluidas las Islas Canarias, Ceuta y Melilla, es resistente. “El impacto de la actual crisis ha sido máximo”, dice el estudio, “en aquellos territorios cuyo crecimiento reciente supuso una elevada exposición al riesgo, al especializarse en actividades de baja productividad y fuertemente cíclicas como la construcción, las industrias auxiliares o los servicios al consumo, con elevados niveles de empleo poco cualificado y precario, junto con un modelo de urbanización dispersa muy intensivo en el consumo de suelo y recursos naturales”. Esta reflexión rememora la España de urbanizaciones que se han quedado desiertas y de polígonos industriales abandonados. Los datos fueron haciendo su trabajo. Los expertos utilizaron indicadores económico-laborales (población ocupada, PIB por habitante, número de empresas…), indicadores socio-demográficos (movilidad residencial, emancipación de los jóvenes, número de manifestaciones…) e indicadores inmobiliarios (volumen de hipotecas, ejecuciones hipotecarias, precio medio vivienda libre…). Y cada uno se fue situando en el mapa: así, por ejemplo, en las ciudades malagueñas de Fuengirola, Mijas y Estepona, el número de ejecuciones hipotecarias creció un 1.000% respecto a los años anteriores a la crisis mientras esa subida apenas alcanzó el 50% en poblaciones como Mieres, Langreo, Leioa, Getxo, Eibar o Ceuta. Otros datos ofrecían información complementaria: Cuenca y Soria fueron las peores en cuanto a emancipación juvenil, todo lo contrario que Melilla. Hubo provincias que sumaron un buen número de manifestaciones de protesta (Girona, Álava, Teruel, León y Albacete) durante los primeros años de la crisis y fueron relevadas por Castellón a partir del año 2009. Una de las sorpresas relativas del estudio fue comprobar que el impacto de la crisis fue relativamente moderado en provincias interiores (Lugo, Ourense, Badajoz y Zamora), algunas de ellas tenidas por despobladas o deprimidas. La razón es muy sencilla: se vieron “poco implicadas en el crecimiento de la burbuja inmobiliaria y su posterior pinchazo, con un empleo público que las protegió en los inicios de la crisis y ha dejado de hacerlo tras implantarse las medidas de austeridad”. Tener o no tener burbuja explica una mejor resistencia, pero hay otros factores que revelan cómo localidades como Villanueva de la Serena (Badajoz) están a la cabeza de las menos vulnerables: dispone de una economía basada en el sector agroalimentario, se aprecia una política de desarrollo social y ha mantenido servicios sociales. La clasificación de las más resistentes está repleta de ciudades vascas y ese es un hecho que parece más evidente. “Esas ciudades apostaron por una economía diversificada”, señala el estudio, “mantuvieron una industria renovada y cierta capacidad exportadora, base para localizar servicios empresariales avanzados que favorecen la innovación y generan empleo de mayor calidad”. Los autores del Atlas sacan sus conclusiones para evitar que una futura crisis produzca efectos tan devastadores. Apuestan por construir una nueva “cultura del territorio”, un “urbanismo integrado” y una nueva gobernanza territorial. This exhibition focuses on Abraham Lincoln’s mastery of language and how his words changed the course of history. Today, nearly 150 years after the end of the Civil War, he remains an exemplar of exalted leadership in a time of great crisis, and people the world over continue to look to him as a standard-bearer for principled governance. The exhibition explores Lincoln as a writer and public speaker whose eloquence shaped the nation and the world in his own time and still reverberates in ours. Lincoln Speaks is presented thematically and chronologically. It was organized in conjunction with scholars at the Gilder Lehrman Institute and draws heavily on its renowned collection of American historical documents. With additional contributions from the Shapell Foundation, Harvard College Library, the Library of Congress, and the Morgan’s collection of Lincoln manuscripts and letters, the exhibition includes photographic portraits and books owned and used by Lincoln. It highlights the range of his rhetorical powers from the elevated style of his proclamations and great speeches to the forceful, incisive language of his military memos and the intimate prose of personal letters to family and friends. Lincoln drew upon his powers as a writer and orator to sustain the country during its greatest crisis and to inspire Americans to embrace the end of slavery. The show coincides with the 150th anniversary of the end of the Civil War and Lincoln’s assassination and assesses the scale of Lincoln’s achievement as well as his national and global legacy through an examination of of his powerful words. La Banque centrale européenne (BCE) a encore relevé jeudi de 1,2 milliard d’euros, à 73,2 milliards d’euros, le plafond de son financement d’urgence (ELA) des banques grecques, a-t-on appris de source bancaire grecque. Auparavant, elles pouvaient obtenir de l’argent en apportant en garantie les obligations de l’Etat grec qu’elles détiennent. Ces obligations n’ayant pas la qualité de crédit minimum qu’accepte normalement la BCE, celle-ci faisait donc bénéficier les banques grecques d’une exception. Mais cette exception a pris fin peu après l’arrivée au pouvoir du gouvernement de gauche radicale Syriza d’Alexis Tsipras en raison de la volonté qu’il manifestait à l’époque de s’affranchir du programme de sauvetage européen en cours. Le crédit par le biais de l’ELA est plus onéreux que les prêts contre collatéral. Les banques du pays ont un sérieux besoin de liquidités depuis le début de la période électorale qui a porté Syriza au pouvoir fin janvier. De début décembre à fin février, ménages et entreprises grecs ont retiré quelque 25 milliards d’euros de leurs comptes bancaires, et l’hémorragie a continué depuis, quoique au ralenti, selon certains journaux grecs. Le pays a un pressant besoin d’argent. Il sera en mesure d’honorer toutes ses échéances de dette du mois d’avril, et a notamment effectué un paiement de 459 millions d’euros jeudi au FMI, mais la situation est incertaine pour le mois de mai. Les négociations avec les créanciers européens, dont la Grèce attend impatiemment le versement d’une tranche d’aide de 7,2 milliards d’euros, semblent piétiner par ailleurs. Une solution est espérée lors de l’Eurogroupe du 24 avril à Riga.